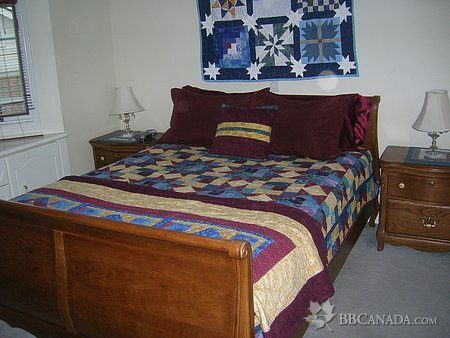 The room with two queen size beds is on the second floor. 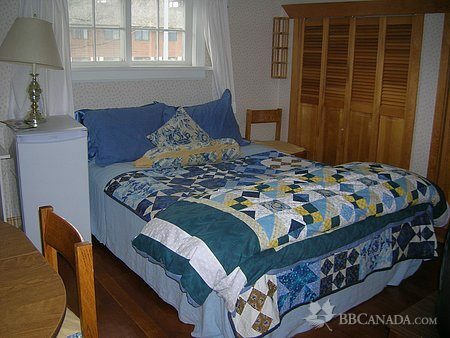 It has hardwood floors, satin sheets, feather duvets and a mountain view. Both rooms come equipped with a refridgerator, microwave, kettle and toaster and dining table with chairs. 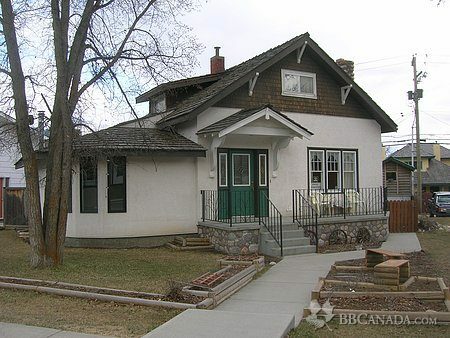 There is free on site parking, quick and easy walking access to downtown Jasper.